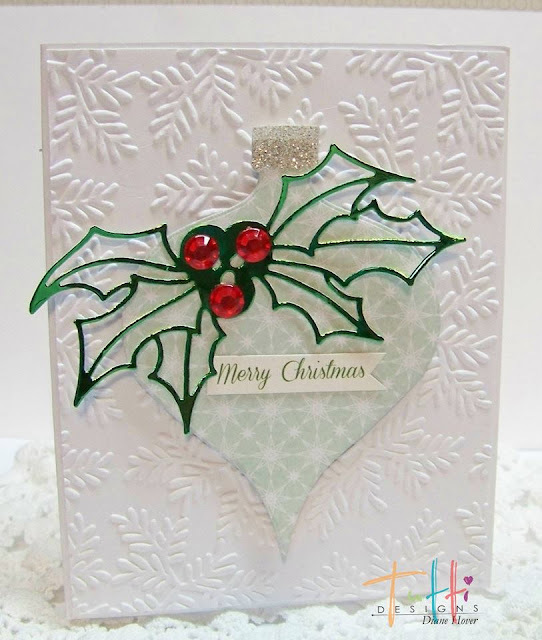 Tutti Designs: Christmas is Around the Corner! Samantha is still buried under moving boxes so today we are posting a little differently. 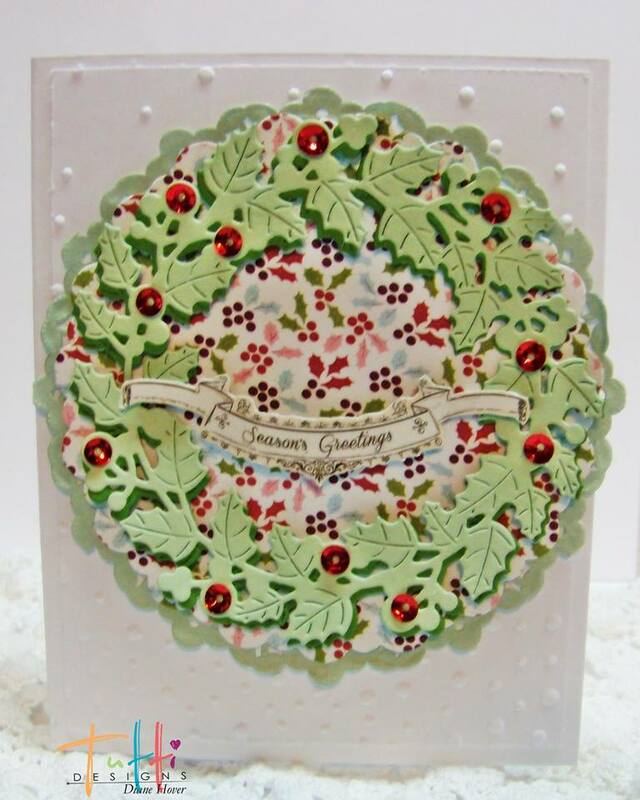 Have you ever noticed all the beautiful sample designs shared at the Tutti Designs Store for each individual die? Those are all created by the very talented designer Diane Hover. With each new monthly release, Diane creates a variety of designs using each die to help inspire you. The owners of Tutti Designs are currently on holiday so the July samples have not yet been posted ... but today we have a sneak peek of what's to come using these beautiful dies. 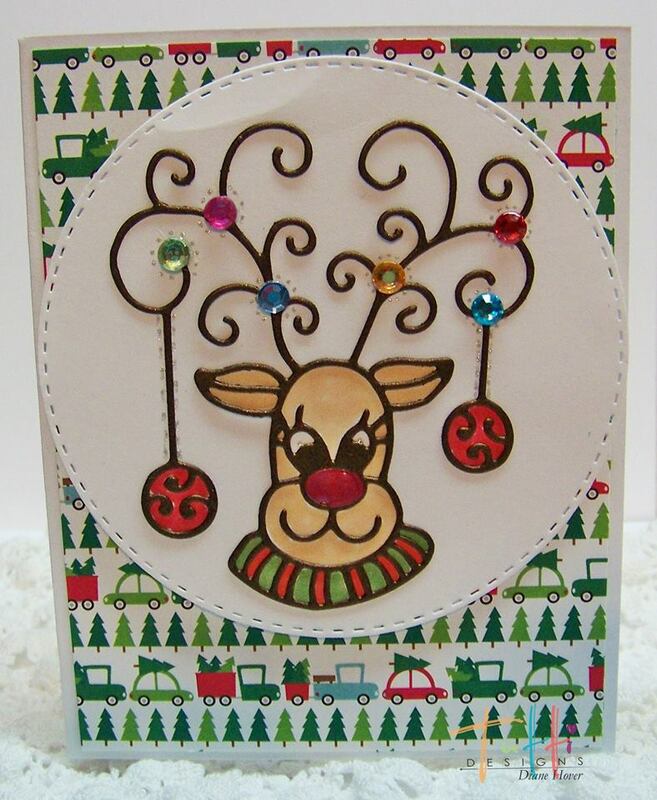 Our July Release was overflowing with fabulous dies for the upcoming holiday season. Here are just a few of Diane's designs using three of the dies in this fabulous holiday release. So remember when you are making your die purchases, check out the inspiration samples Diane has created and shared at the store. And of course, you can come back here to the Tutti Blog, every day of the week, for MORE INSPIRATION from our fabulous team of designers.